At the American Urological Association meeting in San Antonio in May 2005, I was introduced to a four engineers from a small start up company called NC2 (New Company 2). It had at that time been recently spun off from the medical device incubator company Exploramed. They had no product and not even a prototype of a product that could possibly be used in humans but what they did have was a passion to make a difference, incredible ideas and a laptop computer. They had thought about the failings of existing mechanical treatments for LUTS/ BPH and the first that comes to your mind is prostatic stents. No stent conforms perfectly to the shape of the prostatic urethra and there were the issues of encrustation of any elements of stent material that were exposed to the urine. Rather than throw the baby out with the bathwater, they harnessed what was good about stents, which was the potentially immediate effects they could have on urinary function without associated destruction of tissue and that perhaps tailoring the radial expansion to just a few critical points rather than the entire length of the prostatic urethra could do the trick. The original idea was that some sort of metallic disc could be placed outside the prostate capsule and one on the urethral side and between them, a non absorbable suture could be placed under tension and therefore draw open the prostatic urethra and defined sites. How these engineers were to find a way of designing a delivery tool to do this had me a little skeptical at first but there seemed to be no doubt in their minds, even thought they had not yet worked it out, were going to find a way. Their confidence, intellect and enthusiasm was infectious and you just felt like you wanted to be a part of this project. It so turned out that the metallic discs would be replaced by linear metallic tabs which logically make for easier delivery. So why involve Australians? It is difficult to keep things under the radar and one way of doing so is to take the idea where it is less likely to be visible. Additionally, the data needed to be trustworthy and in a place where strong ethic committee governance structures exist. We make no illusion that for once, being Australian, gave us a clinical research opportunity from a company based in the US that would rarely be directed our way. 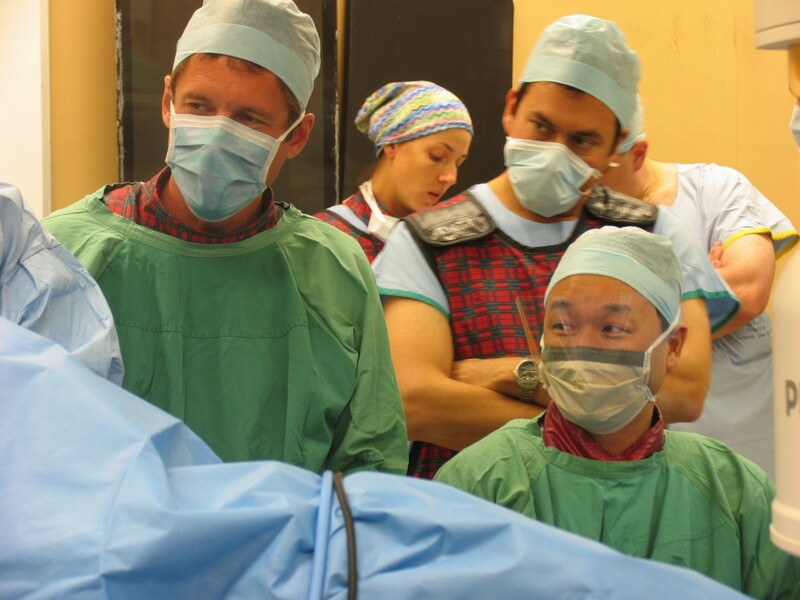 My Australian colleague, Dr Peter Chin was also brought in on the project. Over the next few months, we did not hear anything but there was then an urgent call that ‘California was the place we ought to be’ so we literally dropped everything and headed over to Silicon Valley where we had the opportunity to use the first prototype of the device on human cadavers. Whilst our travel costs were covered by NC2, we received no payment for our time spent during these exercises but remuneration was the last thing on our minds given the exciting path that the idea could potentially take. Simultaneously, animal studies were being conducted and these demonstrated that the internal metallic tabs of the prosthesis would become covered by urothelium and in combination with the cadaveric work, provided a convincing argument to move forward with human clinical trials. By December 2005, we were ready to conduct the first human trials. We measured everything that could possibly move and it probably took close to 2 hours to perform the first case. The initial prototype device used looked like it was literally built in somebody’s garage workshop but it was functional and confirmed proof in principle that a transurethral delivery system could deploy metallic tabs on the capsular side of the prostate and within the urethra that was connected by a tensioned suture. Through this, it created mechanical alteration to the anatomy of the prostatic urethra with positive influence on lower urinary tract symptoms. From here, multiple clinical trials have been performed by the company that became known as Neotract Inc and as of 13 September 2013, the device received FDA approval. It is enormous privilege to have played a role in product development from inception of an idea through to FDA approval. These opportunities are rare and whilst healthy skepticism and caution should be applied to all ideas presented to you, if you are offered such an opportunity to take a side project, it could be a rewarding diversion from your daily clinical practice. Financially, you will never recoup your time investment but the rewards of making a difference is priceless. Shared passion for a project can go a long way. This experience emphasizes the value of engineers interacting with clinicians to achieve a desired outcome and there is certainly room for of such interactions. Opportunities to embrace these relationships are out there and perhaps a good place to start is to become active in the Engineering and Urology Society which as a section of the Endourological Society meets each year at the AUA Annual Meeting. 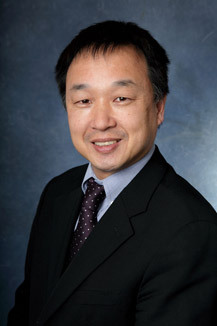 Disclosure: Henry Woo has formerly been an investigator and advisor to Neotract Inc. He holds a small stock investment in the company. I am a potential patient for this device. I have some concerns about it. I know that the prostate has many nerves, and am concerned that it will be quite painful while it is being "reshaped" by the devices. I am also concerned about the portions exposed to the urethra becoming encrusted. Are these valid concerns? What has been the experience? Thanks.